Here's a fun an easy stringing project that anyone can do! Attach a piece of tape to the end of your elastic. That way, you won't accidentally loose your beads while you string. 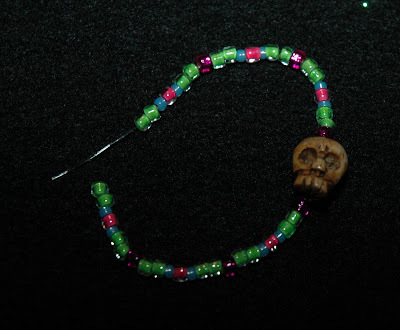 Or you can string your beads in a pattern. 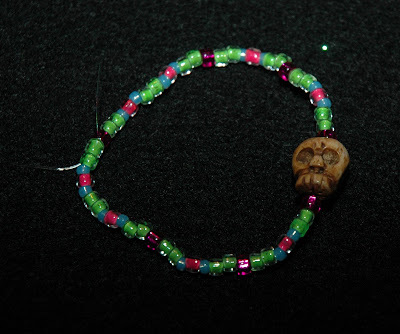 String on enough beads to comfortably fit around your wrist. 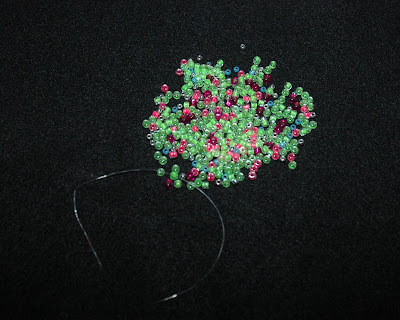 Once you have all your beads strung, take the ends together and tie them in a Square Knot. Add a dab of glue or clear nail polish on your knot to hold it in place. (*Warning: Do not use hot glue from a glue gun because it will melt your elastic! Wait for the glue to dry then trim off your ends. Voila! 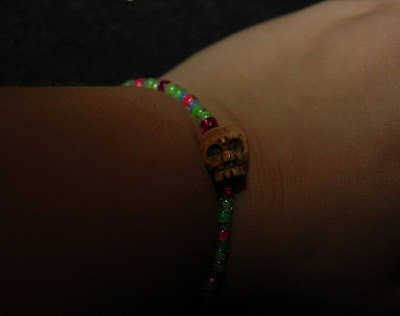 You know have a finished bracelet!